Ricco Electronics Company Limited is a plug and jack manufacturer based in Hong Kong, supplying a wide range of quality jacks, connectors and switches with competitive prices and prompt delivery. We have our own manufacturing facilities in mainland China. We have a good grasp of market knowledge and are ready to serve customers from all over the world. OEM orders and customers’ specifications are welcome. With the seaport, airport, and railway station in the vicinity, all easily reached in an hour, we can assure our customers of effective communication and flexible, speedy delivery. 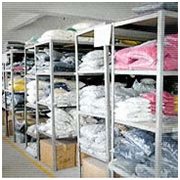 Our factory is equipped with advanced machinery and facilities to ensure high quality production. We can develop new molds for our customers according to their specifications.